Shimla: The State of Himachal Pradesh is most suited for adventure activities and especially mountain biking. This was stated by Chief Minister Jai Ram Thakur while flagging off 14th Hero MTB Himalaya Rally from The Ridge Shimla here on Thursday. This event was being organised by Himalayan Adventure Sports and Tourism Promotion Association (HASTPA) in collaboration with the State Tourism Department. 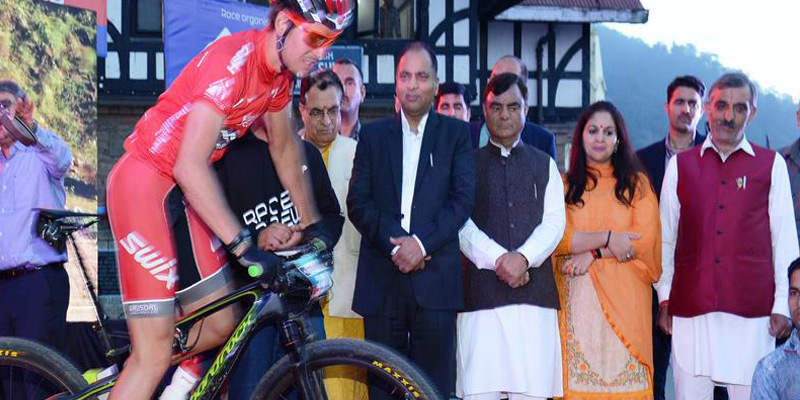 He said that the State Government was committed to make Himachal Pradesh the number one state of the country for mountain biking. He said that there was immense potential for adventure sports in the State and the Government was committed to fully exploit this potential. 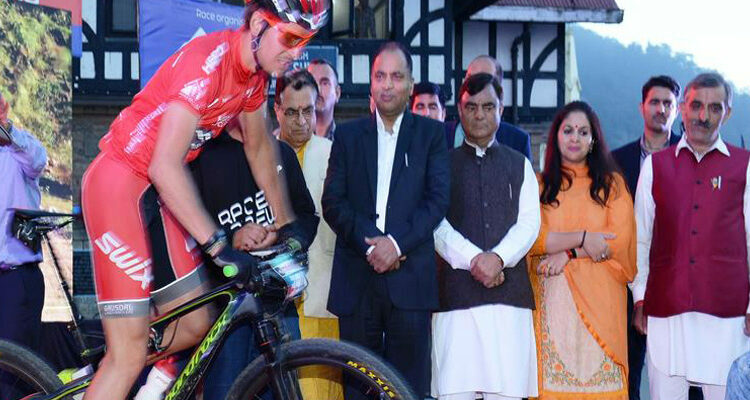 Chief Minister said that mountain biking was considered to be the biggest adventure sports in the world and the State has lot to offer for this sports. He said that events like mountain biking could prove beneficial for ensuring economic activities in the remote areas of the State. He said that MTB Himalaya provides a great opportunity to showcase the potential available in these areas. Jai Ram Thakur said that this event would provide an opportunity to the participants to travel through some of the most beautiful and remotest areas of the State. He said that the race would pass through four districts of the State which also includes his constituency Seraj. Chief Minister also appreciated the efforts of Himalayan Adventure Sports and Tourism Promotion Association for organising such event in the State. President Himalayan Adventure Sports And Tourism Promotion Association Mohit Sood said that as many as 81 participants across 14 countries were participating in the event. He said that the bikers would be covering a distance of 650 km during this event. HERO MTB Himalaya is Asia’s oldest & among the world’s toughest MTB race. Himachal Adventure Sports and Tourism Promotion Association (HASTPA) has been organizing the event successfully in collaboration with International Mountain Bicycling association and continuing the promotion of adventure tourism in the state with a great number of international participants.